I have learned in over 30 years that any one drug in any one patient, can cause any one problem! 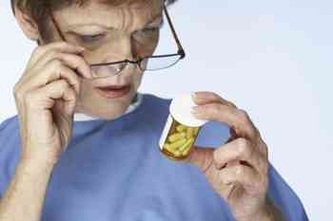 Beware the doctor who says that your particular side effects are definitely not related to your particular medication. Would you take a drug which can cause sudden death due to an allergic reaction, asthma or can cause a fatal gastrointestinal bleed? Your first response would be "No!" What if I said that aspirin can cause any of these side effects? Did you know that the commonest cause of drug induced liver failure in the world is acetaminophen (Tylenol)? So what I'm trying to say is: don't rush to the physicians desk reference and read up on the side effects of any new drug you are prescribed. It will freak most people out! Do, on the other hand, ask about important common side effects or potential drug interactions. If you develop a symptom or sign that you think may be medication induced or related, please call or email me before just stopping the medication. Of course if the symptoms or signs are dramatic and obvious eg a rash after starting a new medication, then just stop and still contact me immediately. I don't want to hear about it 3 months after the event. So in many cases, what appears to be a drug allergy is actually a reaction that doesn't involve the immune system. Although they may seem like an allergy, drug reactions may be a drug side effect or signs of a drug sensitivity — not an allergic reaction. Antibiotics. Some antibiotics often cause reactions such as stomachache or diarrhea, but some like the Quinolone family (Cipro, Levaquin, Avelox) have been associated with tendon damage. These are not common reactions. High blood pressure medication. Angiotensin-converting enzyme (ACE) inhibitors sometimes cause coughing (in 5 - 15%) and swelling of the lips, tongue and face. Calcium channel blockers like Norvasc/amlodipine, verapamil, diltiazem can cause fluid retention and constipation. Beta-blockers like propranolol, metoprolol can cause wheezing in asthmatics, cold extremities, vivid bad dreams and excessively low pulse rate. Alpha-blockers like Cardura and Hytrin can cause a sudden significant drop in BP after taking the first dose. Taking a similar drug to one that caused a reaction in the past. For example, if you've had a reaction to penicillin, you also may be sensitive to some other antibiotics. 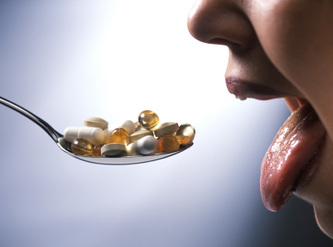 Once you know you have a drug allergy, you'll need to avoid that drug and related drugs. Tell all of your health care providers, including your dentist, about your drug allergy. In case you're in an accident, you may want to wear a medical alert ID bracelet so that emergency workers will know about your allergy. In addition, you may want to carry a portable epinephrine injection (EpiPen, EpiPen Jr, Twinject) with you.